A weak storm system will bring down some moisture from Canada. 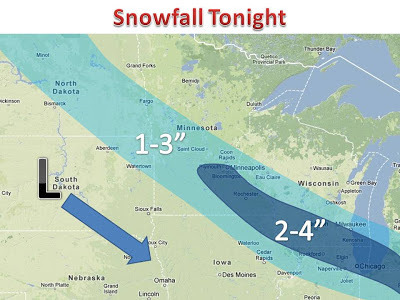 Not much to work with, but since it is still cold out the snow will pile up quicker as snow ratios will be rather row. Meaning you can expect a fluffy snow that will be as heavy as cotton, similar to the last couple systems. 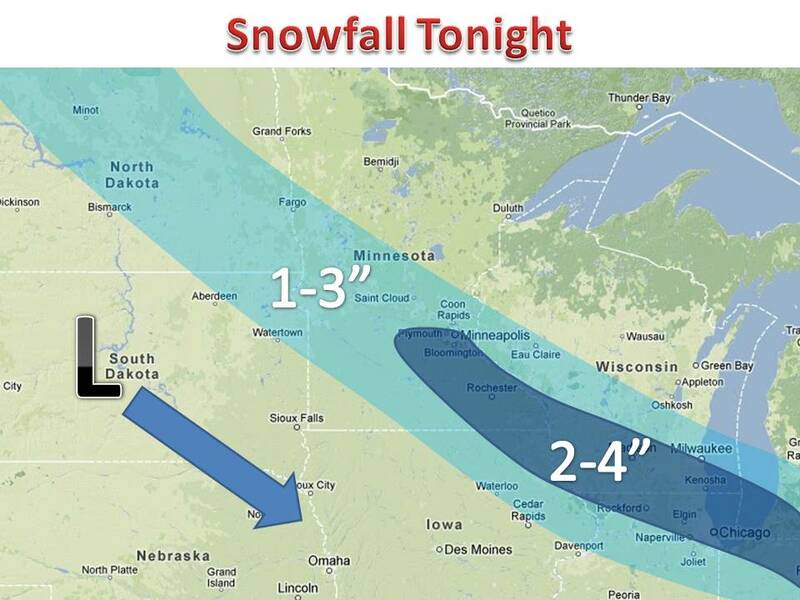 The system will strengthen as it hit MN and WI, but will then weaken as it hit IN. This leaves for a relatively small window for the heaviest snow. 2-4" can be expect in the dark blue, with a couple isolated spots seeing 5" by noon Monday. Another system looks to come Tuesday.